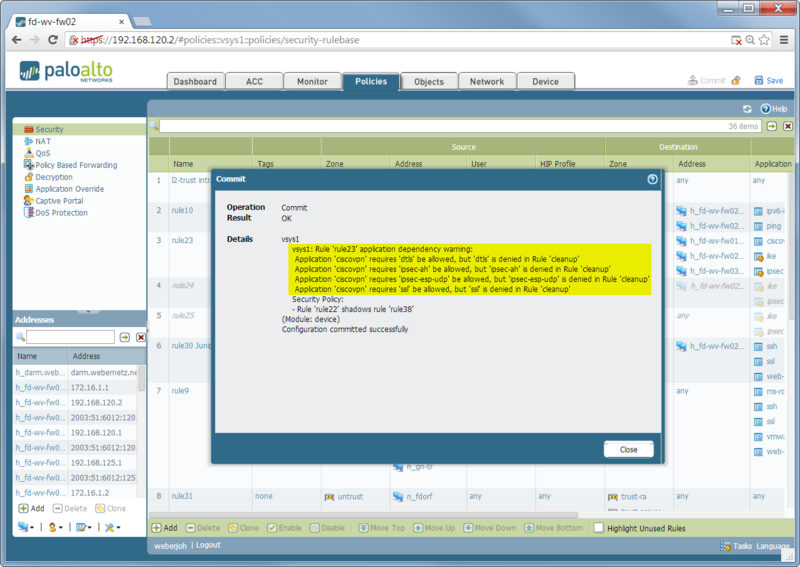 I configured a static Site-to-Site IPsec VPN tunnel between the Cisco ASA firewall and the Palo Alto next generation firewall. 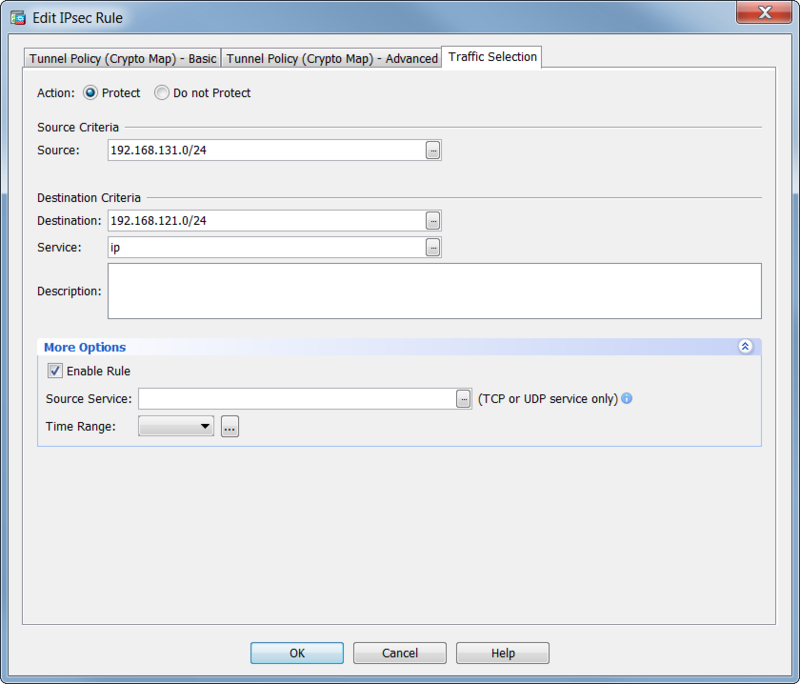 If the same phase 1 & 2 parameters are used and the correct Proxy IDs are entered, the VPN works without any problems though the ASA uses a policy-based VPN while the PA implements a route-based VPN. 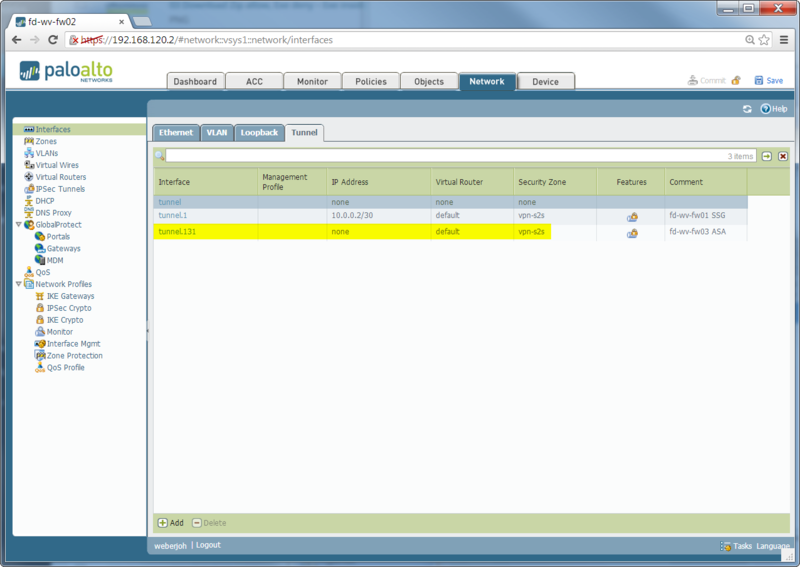 I made a few screenshots from the VPN configuration of both firewalls which I will show here. I am also listing a few more hints corresponding to these two firewalls. 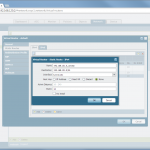 The tested Palo Alto PAN-OS version was 6.0.0, while the Cisco ASA version was 9.1(4). Note that I am not showing the creation of the phase 1 & 2 parameters since I named them accordingly to their types. I am always using AES-256, SHA-1, DH-5, and a lifetime of 28800 seconds for IKE and 3600 seconds for IPsec. The IPsec protocol is ESP. Also note that there is no way to establish the VPN tunnel by the firewalls themselves. 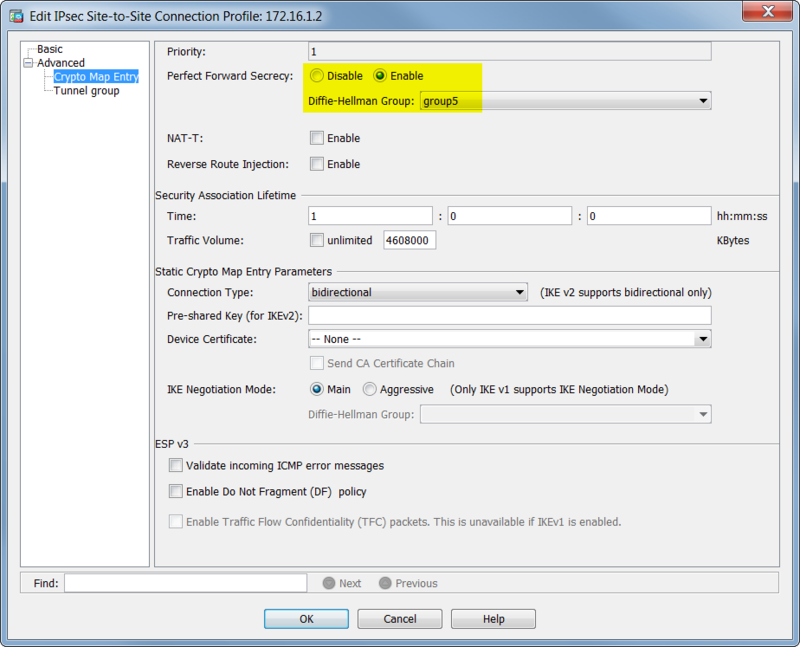 The Cisco ASA has no option to ping the other side in general, while the Palo Alto tunnel monitor only supports numbered tunnel interfaces. But since the Cisco ASA only works with unnumbered tunnel interfaces, this option on the PA cannot be used as well. Unnumbered tunnel interface. This must be placed in an appropriate security zone. 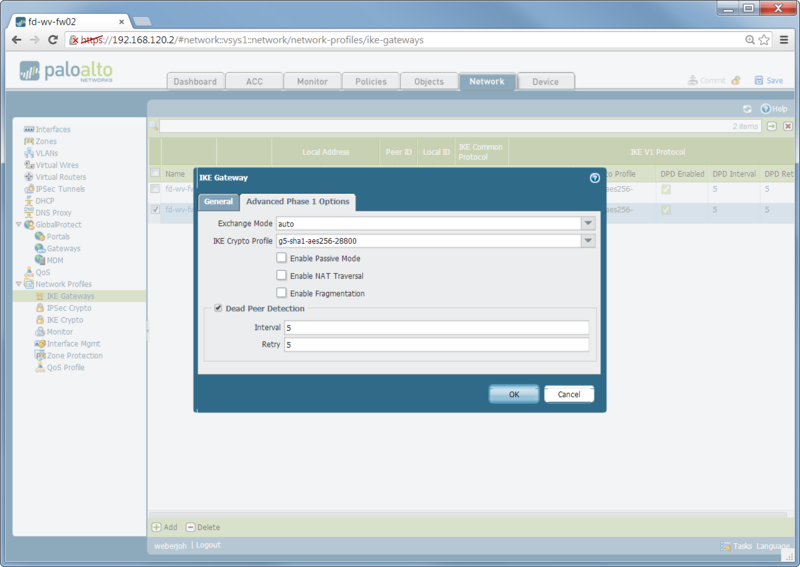 IKE gateway with the outgoing interface, the IPv4 address of the peer, and the PSK. 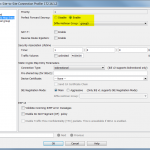 The IKE crypto profile correspondant to the ASAs security settings. The IPsec tunnel needs the tunnel interface, the IKE gateway, and the correct IPsec crypto profile as well. 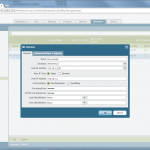 In the Proxy IDs settings, the local and the remote networks must be configured. 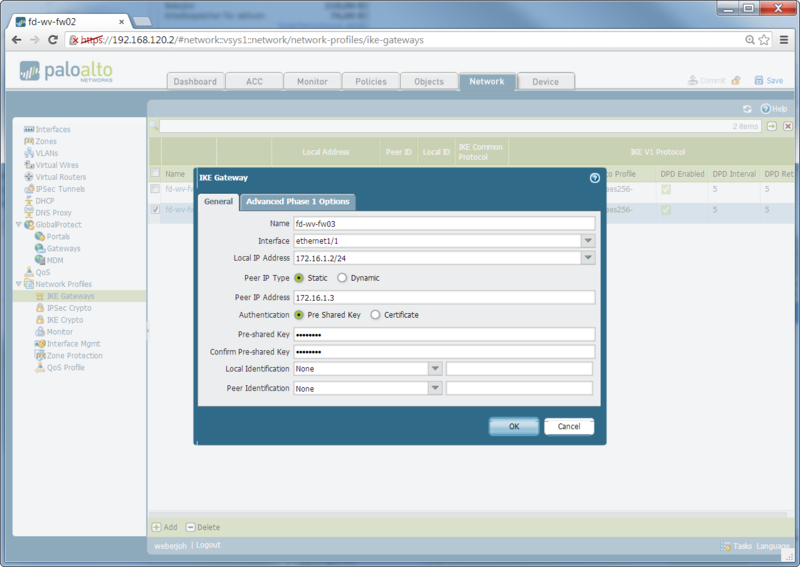 In my lab, I am only tunneling a single subnet behind each firewall. Finally, the static route to the destination network through the tunnel. Note the “Next Hop” as “None”. Finally, remember that the Palo Alto needs a permit policy entry on the untrust zone in order to allow incoming/outgoing packets for ike (500) and ipsec-esp. That is, “from untrust to untrust”. 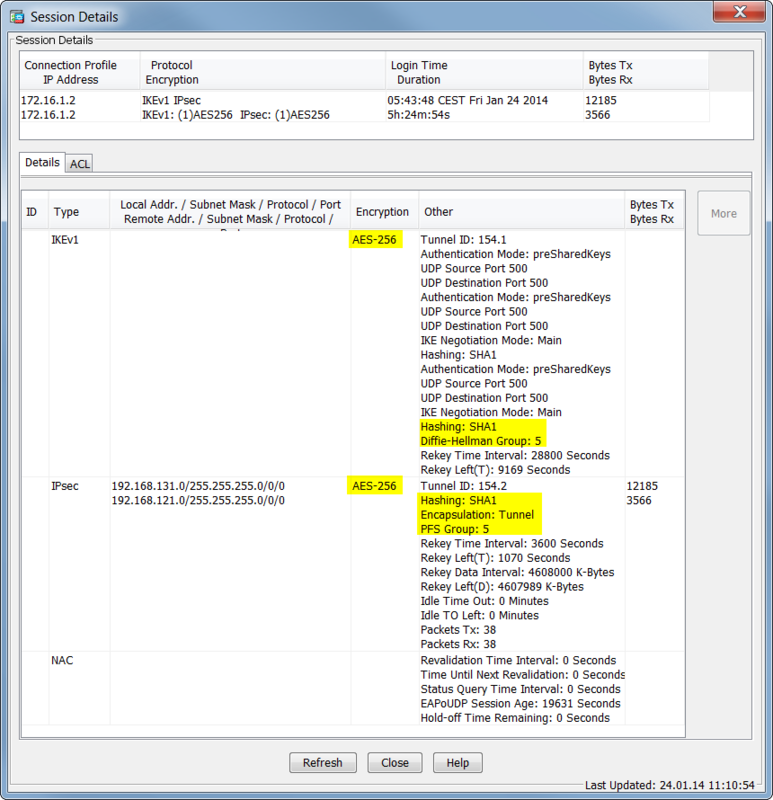 Refer to the traffic log and search for deny statements if the VPN does not establish. 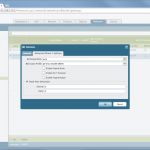 Creation of the Group Policy with IKEv1. 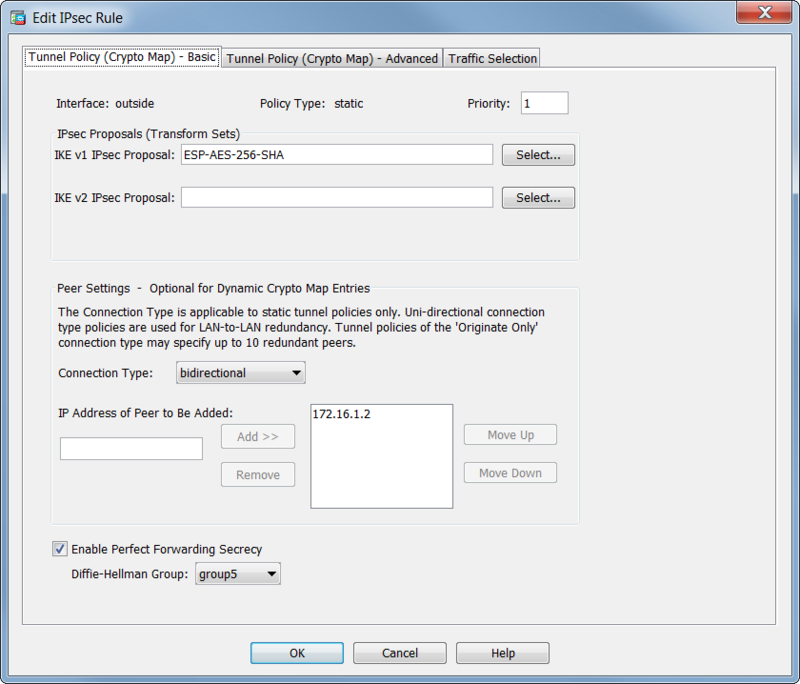 The peer IP address, the “Protected Networks” (= Proxy IDs), Group Policy, PSK, and crypto profiles. Under Advanced -> Crypto Map Entry, the Perfect Forward Secrecy must be set to DH-5. For the sake of completeness: The Crypto Map entry. Nice article. 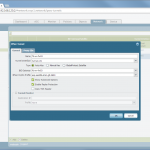 Am I able to create a site to site VPN if I only have one layer 3 interface? 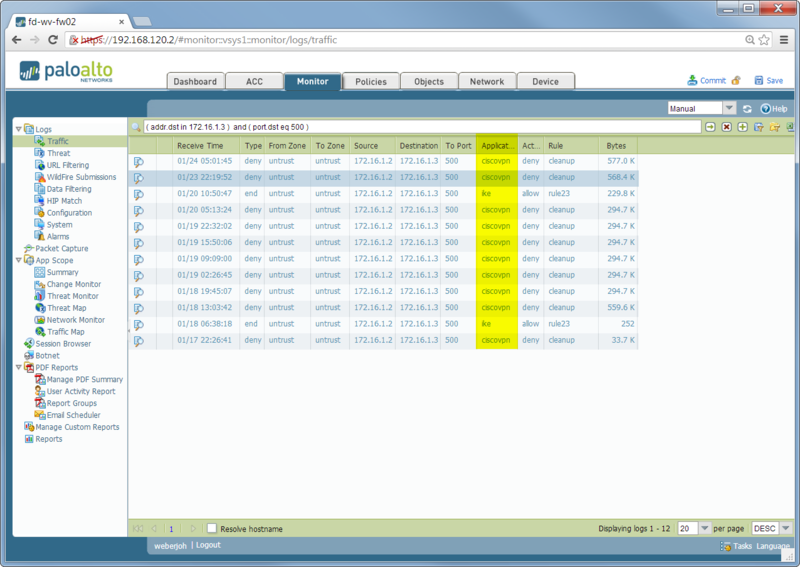 Mine is 82.13.181.32/28 so how do I know which IP address to use and does it render it useless for everything else? Hey Phillip. Sorry, I did not fully understand your question. 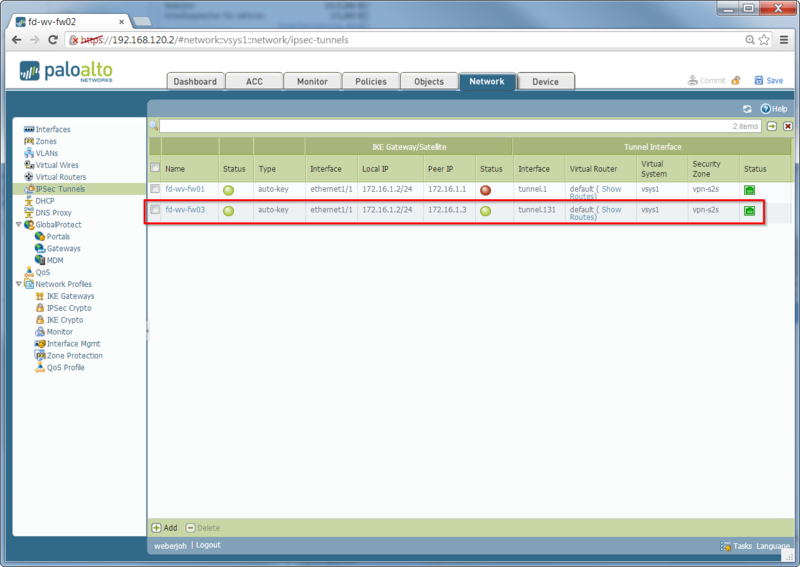 Both firewalls must have an “untrust/outside” layer 3 interface that is able to reach the one from the other firewall. 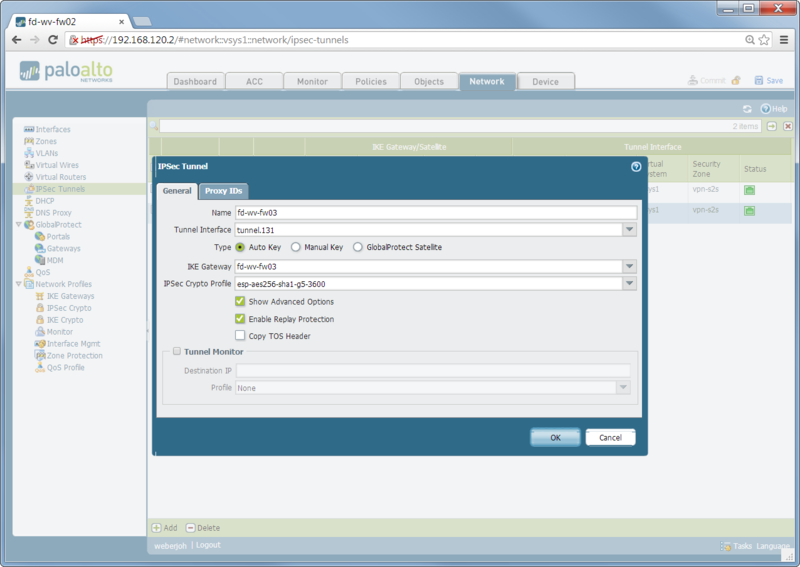 Furthermore, both firewall should have a “trust/inside” layer 3 interface for the private traffic that should flow through the VPN tunnel. It should look very similar to my lab. Can you please send me migration tool link. 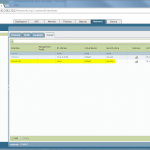 Actually i want migration from ASA firewall to Paloalto if you have any link send me. sorry, I do not have any links to migration tools or the like. Please ask your Palo Alto SE (or Google ;)) for that. Palo also has the ability to do this from the CLI using the “test vpn” command subset. You can manually bring up P1 and P2 this way. You can do that with IP SLA on the ASA, but the source interface will be “Outside” instead of “Inside” with a destination internal address on the opposite side of the tunnel. The pings will fail, but the tunnel will stay up. 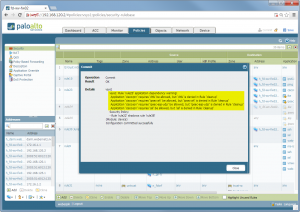 I am trying to create site to site VPN between Palo Alto firewall and cisco ASA. The tunnel is up but the traffice doesn’t go through. Any idea for this issue? 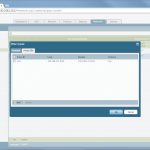 The software version on Cisco ASA (8.0.4) and Palo Alto 6.1.15. Are these devices compatible with each other for the Site to Site VPN? The fast response is appreciated. Thank you. are both phases completed? 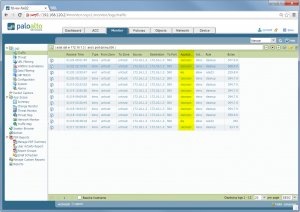 What can you see in the ASA VPN monitor? There are counters for “Tx” and “Rx”. Are both zero? Or only one of them? 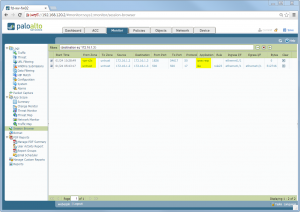 Have you double checked the tunneled networks (Proxy-IDs?) on both devices? They must match exactly! 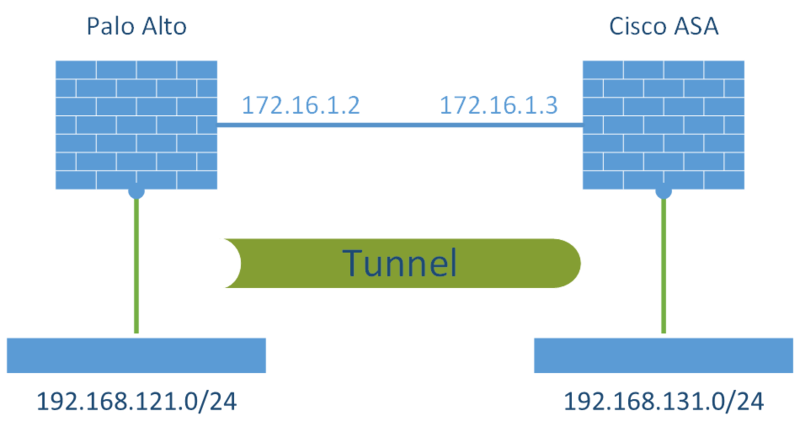 Have you added the route on the Palo Alto to the tunneled networks? Thank for you fast response. Both Phases are completed. Can see green light in IP Sec Tunnel. I can only see zero in Rx . I do check the Proxy-IDs. 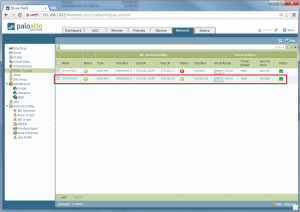 The ip address(Local IP address) are match exactly in both side. No, that’s wrong. Please refer to my screenshots: The static route has a destination interface of the tunnel-interface from the VPN tunnel! 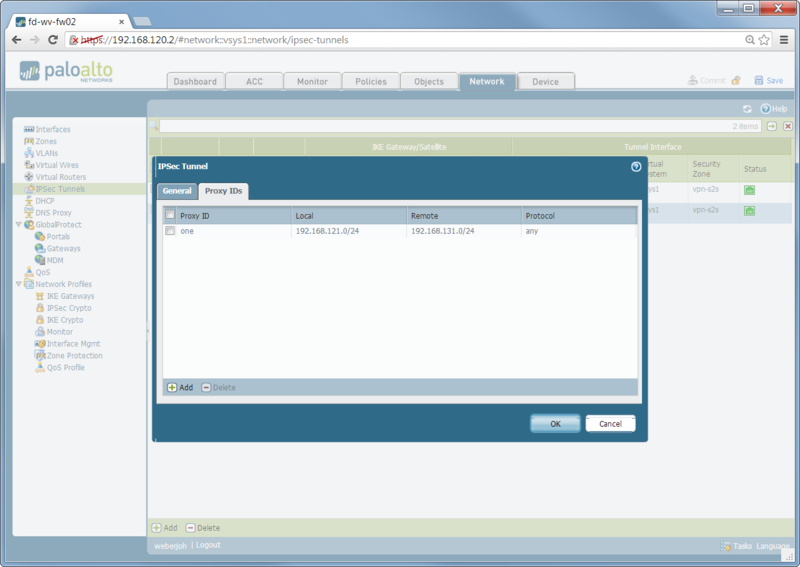 The ip address can be set to “None”. You must route the VPN traffic to the tunnel-interface! This has nothing to do with your “real” path to the Cisco ASA, which might go through your secondary WAN link. That is: The tunnel (phase 1, phase 2, encapsulated traffic) goes through your routing table through your secondary WAN interface. 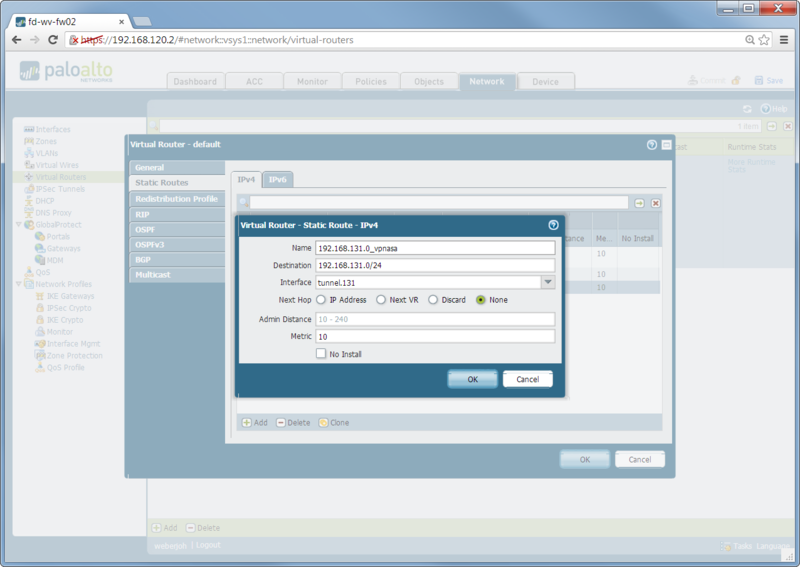 However, the tunneled packets (that are INSIDE the VPN) must go through the tunnel-interface. So that’s mean I should choose ‘None’ in ‘Next Hop’, rt? May i test and update you tmw. I am ISP IT Manager and i see the same problem in our network. We have wired and wireless network with OSPF and if its a problem with some connections OSPF route all traffic from a different direction , all connection goto the same datacenter and go out from the same BGP server. Someone have same experience ? One factor I found in setting up a L2L tunnel between a Cisco ASA And the Palo Alto is that the Palo Alto does not accept FQDN (which the ASA sends by default, I found out later). I have multiple L2L tunnels setup with varying devices (Cisco/non-Cisco). Thought no problem with the PA. Configured my tunnel and started testing. Error MSG6 kept coming back (relates to password authentication/mismatch). The PA admin saw the message and found a link on PA website. Basically said the PA does not respond to FQDN and will not form a tunnel with such a device. the resolution was to run the command “isakmp identity address” on the ASA which has the ASA send the IP address of the device. Once applied the tunnel came up and has been solid. I had this error as well. Found when connecting to a PA that I had to issue the “isakmp identity address” command to get Phase 1 to complete. Great post. solved my problem. sorry, I have not yet worked with the AWS cloud. But as far as I know there should be no difference in configuring anything on a Palo VM compared with an on-prem firewall. Isn’t the GUI exactly the same? I am sorry, but it’s kind of impossible to troubleshoot such issues without having access to the devices. Please verify that both phases (phase 1 and 2) are running. If everything is up, check the proper routing. And NAT. 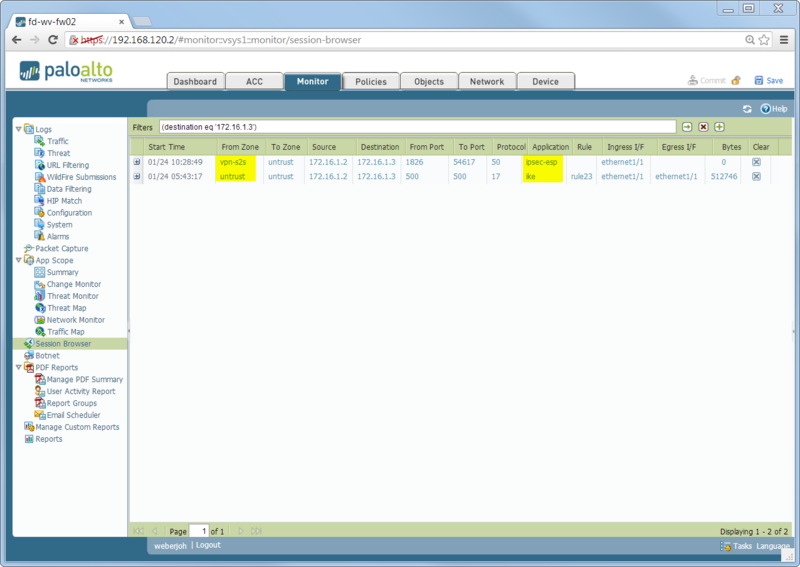 You shouldn’t do NAT when routing between private IPv4 addresses (unless you have overlapping segments). When you have something like “one reply one time out” then it’s possible not an MTU/MSS problem but a routing load-balancing problem in which every second packet is routed something elsewhere.